This was a solo project. I approached this project from the view of an industrial designer taking place in a sprint. 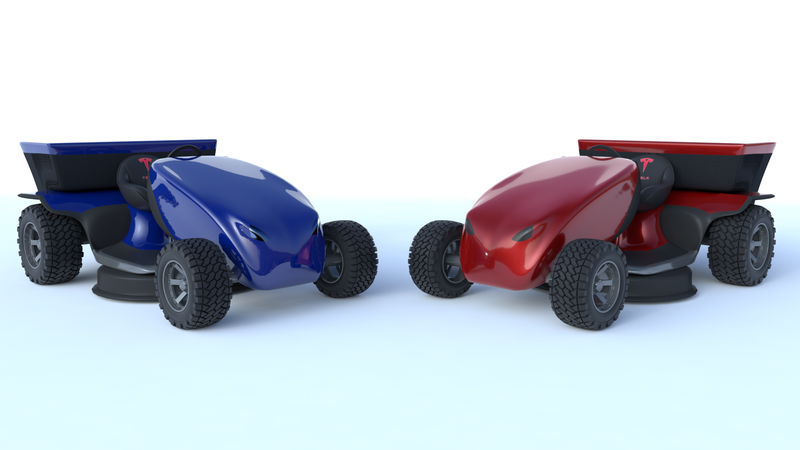 I very quickly came up with an idea through sketching and playing in Cinema4D, and then I brought the idea to life. This is more of a show-and-tell project for Cinema4D being in my toolkit. With the vehicle landscape changing from day-to-day along with Tesla looking for new ways to make a splash in a new market, an opportunity arose: introduce a non-transport vehicle that will allow Tesla to penetrate a new market space and retain customer and shareholder value with brand integrity. 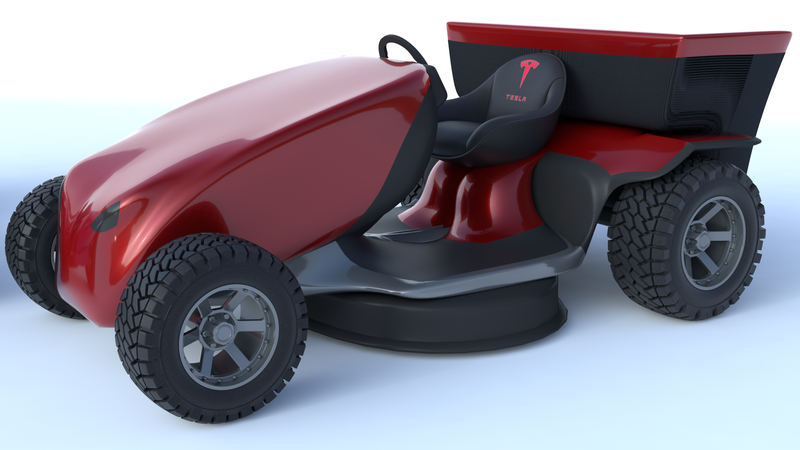 Introducing: Model T	The Lawn Tractor premium enough to be produced by Elon Musk, himself. The Model T is an old term reinvented in a new image. It brings along with it a ton of premium features known to the Tesla Brand. 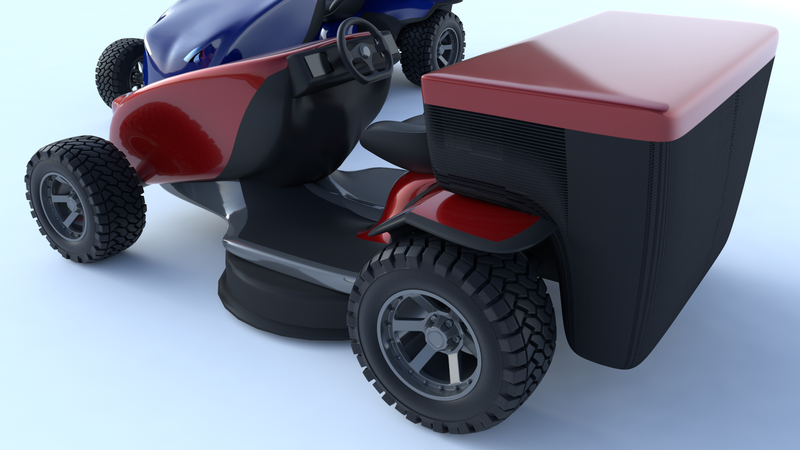 It also brings a few features of its own, but aside from that, the Model T will be the new standard for mowing and towing for small jobs around the house, while not using any types of fossil fuels. Why a Lawn Tractor?Lawn tractors are vehicles that use fossil fuels and emit exhaust like any transport vehicle. Not only that, but they are widely used by professionals and home-owners alike. Tesla would be able to cut into quarterly losses with the production of a smaller vehicle that yields different usage. Tesla car owners would be encouraged to purchase more Tesla products, and this tractor could be that next option.